December has always been the baking-month for me . After discovering my wheat-allergy I have been looking for recipes for the Christmas cookies I bake every year. 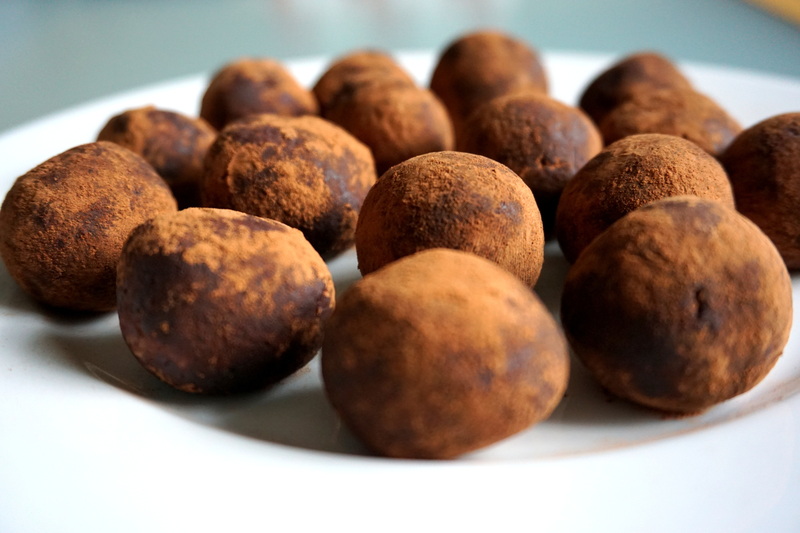 I have a recipe for the perfect “peppernuts” – a Danish kind of gingerbread cookie – from my uncle. They are just delicious. This recipe is an attempt to make a glutenfree version with a mixture of different flours. They are not the same as the ones my uncle make, but the taste is christmassy and the cookie has a somewhat “lighter” in texture. If you are looking for other Glutenfree Christmas Cookies/Biscuits, check out my other recipes – Vanilla Biscuits and Danish Brown Biscuits. Mix flour and carbamate well. Crumble the butter into the flour, but don’t knead it together right now. Add the eggs, brown sugar, cream, spices and lemon zest. Knead the dough well. If it is very sticky add some more rice flour. Place the dough in the fridge for an hour to let it settle and harden a bit. Divide the dough into two equal parts. Divide each part into four and roll them into finger-thick sausages. Cut small pieces of the sausages and roll them into balls. The balls must be small, approximately the size of hazelnuts. The Christmas-time doesn’t have to be dull just because you are gluten-intolerant or allergic to gluten or wheat. 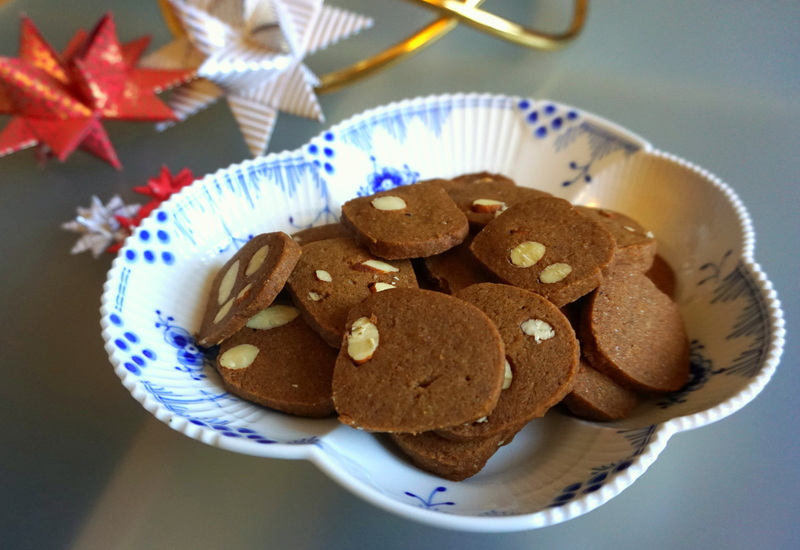 This recipe as well as the Glutenfree Vanilla Biscuits are so delicious and these Danish Christmas Brown Biscuits (brunkager) just smell and taste of Christmas and are quite easy to make. 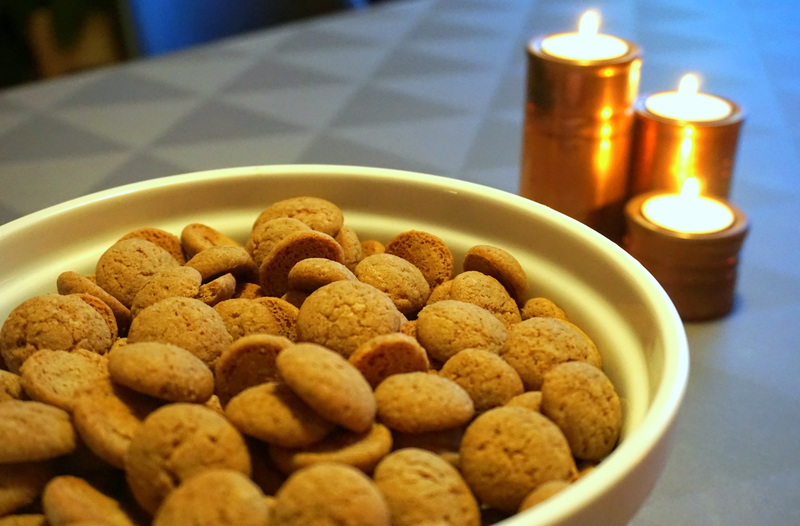 The Browncakes, as we call them here in Denmark, are small brown biscuits with almonds and Christmas-spices. Because you don’t use any raising agents, they get quite hard. Originally these kinds of biscuits were called Peppercakes (peberkager), because they had pepper in them, but this recipe is without pepper. Dissolve the potash in water. Slowly melt brown sugar, butter and syrup in a saucepan. Make sure it’s not boiling. Cool the mixture down before adding the potash-mixture to the butter-sugar-mixture. Add the spices and almonds before you add the mixture of rice- and potato flour. Knead the dough quickly and roll it into to sausages wrapped in clingfilm. The sausages should be about 5 cm in diameter (about 2 inches). Put the dough in the fridge and let it cool. The dough will be soft at the beginning, so you have to make sure it keeps it’s shape. Take it out of the fridge a couple of times during the cooling-time to make sure the shape is still intact. When the dough is completely cooled-down, cut it into thin slices and place them on a baking tray. You can place them close together. Bake them in the oven for about 8-12 minutes by 180 degrees Celsius (about 360 degrees Fahrenheit). 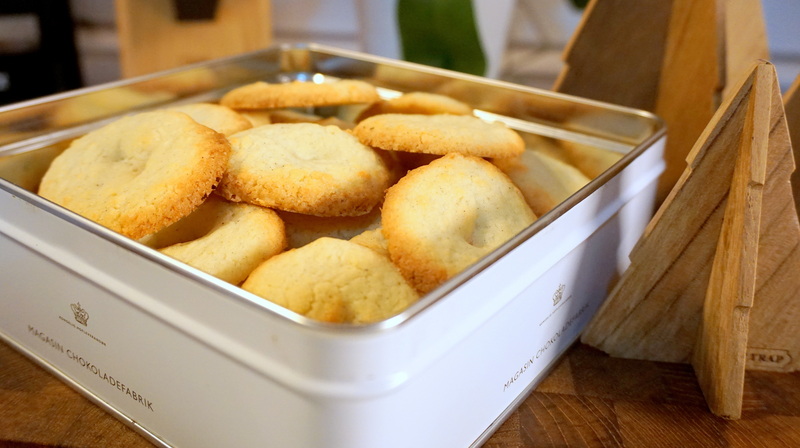 Let them cool on the baking tray afterwards before you put them into a cookie jar. These glutenfree vanilla biscuits just taste amazing and they are quite easy to bake. If you want, you can add come lemon zest to the batter. But here is how you make them. First you soak the almonds in boiled water and remove the skin. Chop the almonds with a knife or using a knife or an electrical chopper. Crumble the cold butter into the flour. Mix the remaining ingredients in and assemble the dough with the egg. Place the dough in the fridge for an hour to set and harden. Ideally form wreaths either using a biscuit-maker or cookie press, or using a normal piping bag. But you can also decide to just make them into circles. Bake them at 180 degrees celsius for 8 minutes (convection oven) or 200 degrees celsius in a conventional oven (approximately 350-360 degrees Fahrenheit). Vanilla Wreaths should be light in colour, so make sure they don’t get too dark in colour. Let them cool on a wire rack before you put them in one of your favourite christmassy cake tins or eat them with a cup of christmas-tea.